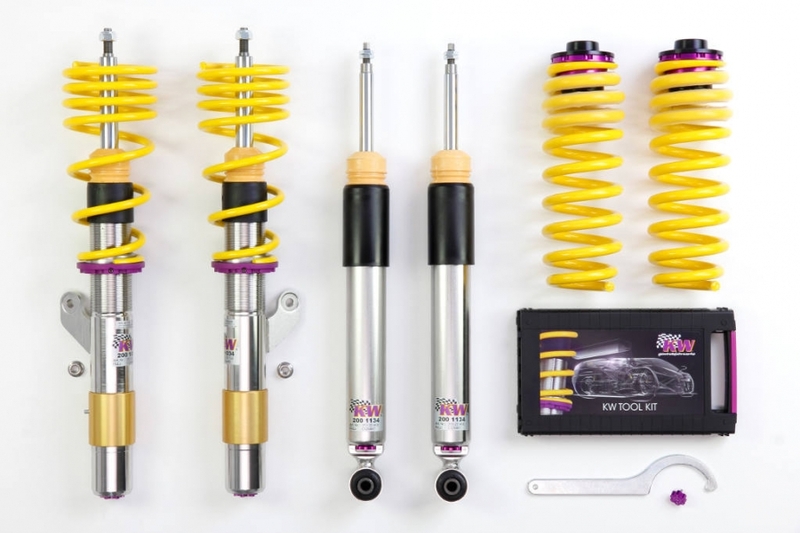 Our friends of Vossen Wheels always are huge fans of our KW Variant 3 coilovers. 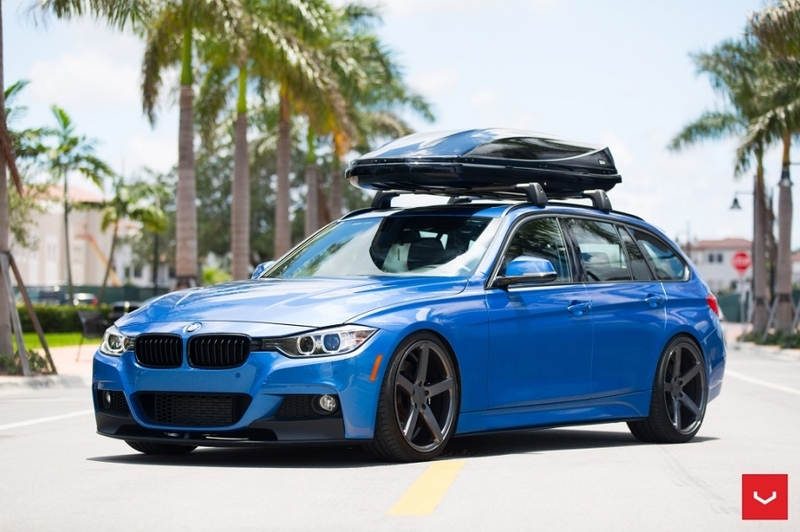 Kat’s modified BMW 328xi station wagon is one of the most popular Vossen cars and now updated with the new Vossen CV3-R.
Kat’s BMW 328xi recently got the new Vossen CV3-R treatment which also gives us the opportunity to tell the story of getting this car. A couple of years ago Kat decided she wanted a wagon due to her active lifestyle with managing the Vossen Store, going to the gym and taking care of her doggies to name a few things. She went against the grain here and didn’t want a SUV which in our eyes was pretty damn cool. 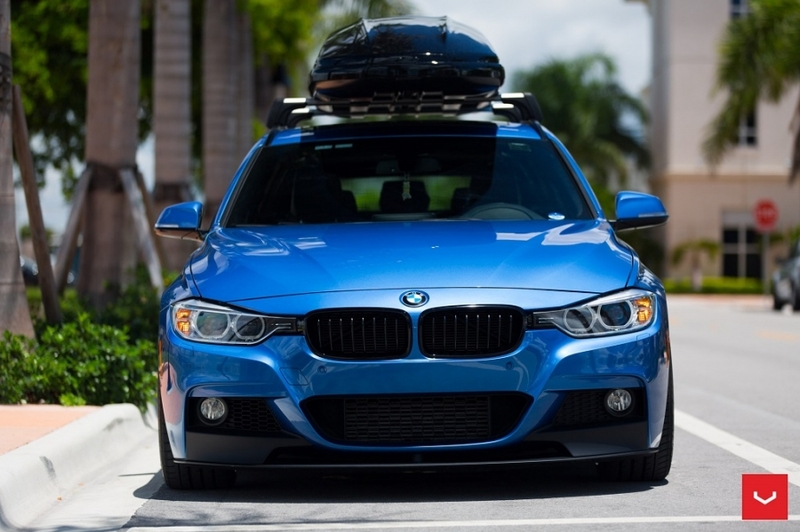 She decided on two exterior colors, white or the beautiful “estoril blue” and two interiors, black or red. Kat also wanted the M-Sport package and the optional LED lighting package which made finding the vehicle in this combo quite difficult. Upon finalizing on blue/black, after a nationwide search there were only 3 in the entire country, one in Georgia, one in Colorado and one in California. Vossen worked with Eric at Braman BMW who also gave them the option to build a car to specs but Kat wanted to start modifying the car right away. After some juggling around with various offers, Kat took delivery of her 328xi all the way from Colorado! She is likely the only person in Miami with the heated steering wheel and cold weather package on their 328xi! 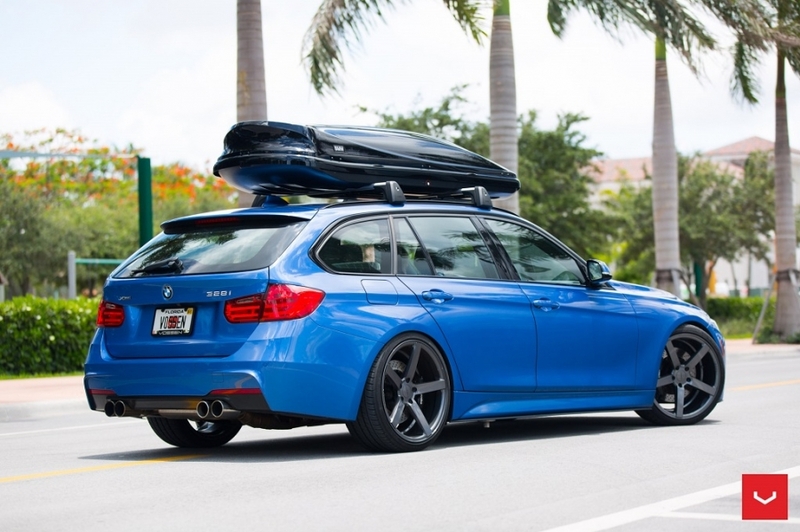 Providing more-than-sufficient stopping power is the Brembo GT Brake kit, brought closer to the arches withKW Suspension’s Variant 3 coilovers for BMW 3series Station Wagons with xDrive. Dynamic Turbo‘s tune unleashes an additional 90hp and 90ft/lbs of torque, with GT Haus’ Meisterschaftexhaust clearing the air and making its presence known. Since that time her car has been a huge hit with enthusiasts with her tasteful modifications including her super loud GTHaus custom quad exhaust. We have to again thank the team at Dynamic Turbo for all their hard work on her car! Check out the Vossen Blog for more cool rims and cars!